This Saturday, activists worldwide will take to the streets in protest of ACTA. Like SOPA and PIPA, ACTA would criminalize users, encourage internet providers to spy on you, and make it easier for media companies to sue sites out of existence and jail their founders. TPP goes even farther than ACTA, and the process has been even more secretive and corrupt. Last weekend (we wish this was a joke) trade negotiators partied with MPAA (pro-SOPA) lobbyists before secret negotiations in a Hollywood hotel, while public interest groups were barred from meeting in the same building. 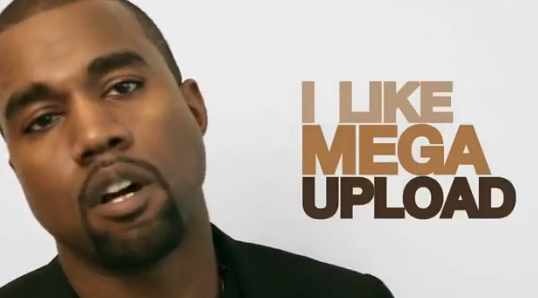 Please help the internet by standing up for your rights. ACTA locks countries into obsolete copyright and patent laws. If a democracy decides on less restrictive laws that reflect the reality of the internet, ACTA will prevent that. ACTA criminalizes users by making noncommercial, harmless remixes into crimes if “on a commercial scale” (art 2.14.1). Many amateur works achieve a commercial scale on sites like YouTube. ACTA, like SOPA, could mean jail time for the Justin Biebers of the world. ACTA criminalizes legitimate websites, making them responsible for user behavior by “aiding and abetting”. (art 2.14.4). Like SOPA, the founders of your favorite sites could be sued or (worse) thrown in jail for copyright infringement by their users. ACTA will let rightsholders use laughably inflated claims of damages (based on the disproven idea that every download or stream is a lost sale) to sue people. As if suing amazing artists, video makers and websites for millions wasn’t hard enough! ACTA Permanently bypasses democracy by giving the “ACTA Committee” the power to “propose amendments to [ACTA]” (art 6.4). In other words, voting for ACTA writes a blank check to an unelected committee. These closed-door proceedings will be a playground for SOPA-supporters like the MPAA. Trade agreements are a gaping loophole, a backdoor track that, even though it creates new law, is miles removed from democracy. It’s a secretive process that’s tailor-made to serve politically connected companies. And the movie studios behind SOPA? They’re experts at it. If we can’t make secretive trade agreements harder to pass than US law, our internet’s future belongs to the lobbyists behind SOPA. The Department of Justice complaint states that the site is responsible for over half a billion dollars in harm to copyright owners and that Dotcom’s team, including CEO Swizz Beatz, are guilty of $175,000,000 in criminal proceeds. Could this be the last we see of Kim Schmitz? The plot thickens, however, as, in retaliation to the takedown, Anonymous have done their thing and brought down the websites of the Department of Justice, Universal Music, the RIAA and the MPAA in protest. Get your popcorn ready, as this is going to get interesting. Many websites are blacked out today to protest proposed US legislation that threatens internet freedom: the Stop Online Piracy Act (SOPA) and the Protect IP Act (PIPA). From personal blogs to giants like WordPress and Wikipedia, sites all over the web — including Digixav — are asking you to help stop this dangerous legislation from being passed. From 1pm GMT today, Wednesday 18th January 2012, we will black out for 12 hours as part of the largest protest in internet history. 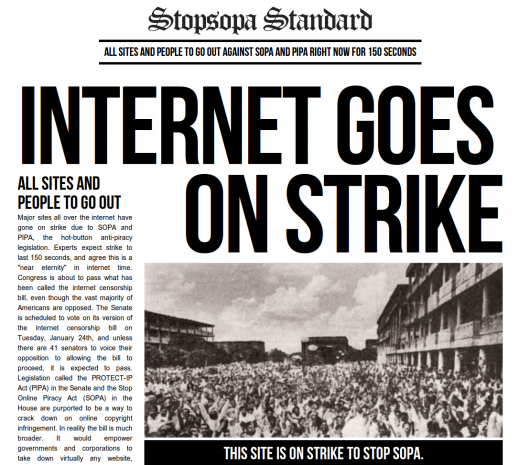 Action needs to be taken against SOPA and PIPA. Please watch the video below to learn how this legislation will affect internet freedom, and sign up below to let the US know how you feel about the bills.